Early settlers since 1816 like the Malay forefathers had lives along the seashore far west of the reclamation area. The sea had washed away about 200 meters from the present coastline. When the early houses were eroded by the sea, the early settlers of about a score of household moved to the road side in 1925 were they built stronger houses. The barrio’s name BAGBAG came after the big shady tree called Bagbag which is believed to have been growing not far from the bridge. According to old folks, there were abundant of Bagbag trees that grew in that place. Immigrants from Ilocos to the south used to seek shelter and had their lunch under these trees. Later on these people identified the place and popularly called it BAGBAG. Amidst the verdant terrain of mountains in Bauang, there stood a small place but beautiful in its smallness, and has earned its rightful place in history. Barangay Casilagan, as they call it, sets in upper parts of the mountains and is rarely blown by the people outside the place. The foliages there dropped and sobbed in the wind that gives cold breeze sweet enough to relish especially when night comes. Early chronicle trace how the place came into existence and old folks rant about it. Casilagan was once a part of two Barangay s nearby it, Bagbag and Sta monica . The two barangays were vast places with wide meadow where various plants, trees and grasses grew. Because Casilagan was situated in between the two barangays, its original name, Bagbag Este, was taken from barangay sinister to it and that is Bagbag. Through the years , the people in Bagbag Este decided to become independent and had a worked for a change on its name. 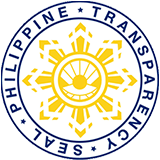 Long after then, the old name was chang into “CASILAGAN” as legally conceived by the late congressman Efipanio Castillejos, one of the ruling executive during the time. It was believed that Casilagan before is sparsely populated with first 18 settlers. But through the years, the people had adapted the wind of change brought on by altering society continue to survive as for today. Sublimitly was still there, left to imagination and desolation is rarely present. Barangay Pilar is a self-reliant community, with healthy and well informed residents who are God-fearing and peace-loving, active participants in local governance to sustain its environment and safeguard from physical hazards. To ensure and enhance its efficiency in the delivery of basic services to its constituents, ensure economic development, peace and order as well as social awareness and environmental conservation. To follow strong political will I voicing out peoples right active but non-violent ways. To have a just and humane society where peace and justice prevails. To enriched socio-cultural heritage of the people through various celebrations and inculturated events. To enhanced harmonious relationship among the people in the community through transparency and honesty. To support and uplift the present economic status of the people by offering alternatives economic ways and means. To offer alternative solutions to the existing economic problems for progress and development. Barangay Pilar is a typical fishing community in a coastal area which is located five kilometers away from the south of Bauang town proper. On its east side lies Barangay Santiago, on the north is Payocpoc Sur and on the South is Barangay Bagbag. Reaching the Place is not hard enough because there are tricycles along the highway or within the vicinity to commute with. Barangay Pilar Derived its name from PILAR STA. CRUZ, ILOCOS SUR for the reason that most of the ancestors came from that place and that time also is the Fiest of what called “APO PILAR”. The total number of residents on the said barangay is more or less 1000. There are more or less 300 household families. It divided into three sitios namely: SITIO CUMPADAS, SITIO PBTA and the BARANGAY PROPER. Originally, Pilar has a total land area of 13 Hectares but now it has only 2 remaining hectare; naturally because rainy seasons, rampaging waters of the China Sea will be coming eastward. Surely, most folks along the seashore will evacuate to safer place to spare their lives from danger. It is sad to note that occurrences of natural phenomena and powerful forces have resulted to disastrous consequences that adverse to life and property. Living in the place is not that easy. Majority of neighboring barangays depend only in fishing which mainly the only source of their living which is insufficient to cope up with their needs. Caring Mothers go to market to sell fishes and their gain is just enough to buy food to eat several youngsters are not seen going to school because of financial constraints. Unfortunately, even the school which is the second home of the children was also devastated. As a result, the schooling of these young people became uncomfortable due to the disaster. Conducive learning is never experience and normally these young ones worried about their safety because their school building was also in trouble, now is on underwater. Nevertheless life must go on. Barriers come and go but somebody aimed for the benefits of the constituents. The new administration together with the ever ready assistance of the Barangay Councilors, Health Workers, and CVO’s stand strong and firm to sustain the composure of the folks. They are hopeful to recover from the damaging effects of unavoidable natural phenomena. Speedy imposition of major projects is the primary concern. Some infrastructure projects like; seawalls, construction of public toilets, improvement of barangay roads and a relocation site are some of the top priorities. The seawalls which is one of the prime solutions to the problem was temporarily stopped due to lack of funds; however, barangay offials are optimistic that the said project will be completed in an earliest possible time to protect the lives of the residents and properties as well. The well-being of all individuals never goes out in the minds of community leaders. Safeguarding the health and sanitation of the people is obviously favored when the implementation of continguency measures was unceasingly supported by the Municipal Government of Bauang. Likewise, the Provincial Government extends their assistance to the Barangay. Despite of what happened in this barangay, maintenance of peace and order never halted. A bit Problem will be solved at once. Unity and cooperation always existed. Orderliness and cleanliness are fostered by all. Putting back Pilar to normal is difficult to attain. Wishing for miracle is Pilar ultimate aspiration; although craving for impossibility is unlikely to happen. Unity, Love and Cooperation are very much needed by the people and certainly could help in looking at the bright side as hoped by many. But the question is “WHEN WILL THE END COME?” Nobody knows but one must keep his fingers cross that admist those consequences, there lay possibilities that lift man to survive. To have progressive/peaceful community where the residents have unity thru the leadership of the elected barangay officials. To promote cooperation among residents. To established a progressive barangay Santiago. To uplift the standard of living of every residents. To contribute for the development of our community. The barangay derived its name in the name of the Patron Saint James locally known as SANTIAGO. During the early times, settlers or the people of the barangay lived along the seashore. However due to the movement of the sea that had encroached upon their homes, they have to move eastward as well as to get id of the maneuvering pirates which were rampant during those days. Trees that had grown all over the seashore were all wiped away by the flashing cruel waves. As years went by, the people had settled down on a better living and there was abundance of sea resources and agricultural products. Their means of livelihood were principally fishing and farming. The construction of the railroad track and the national road traversed the progress and the success among the families in the barangay. The public school was also constructed sometime in 1911 and from then on, school children from the neighboring barangay’s flock in the school. This barangay appeared on the map of the textbooks and other documents of the municipal government. It was sometime labeled the little Bauang of the South. When the inevitable World War II broke out, the Japanese Armed Forces landed on the seashore of the barangay, destruction of the homes, life and property brought havoc and miseries. The School was totally wrecked to the ground. chapel was renovated. In 1966, the higher hierarchy of the Roman Catholic Church established St. Joseph the worker Parish. Barangay Santiago was chosen as the seat of the Parish comprising six (6) barangays namely: Pilar, Casilagan, Sta. Monica, Urayong and Bagbag. Barangay Sta. Monica is one of the most remote and farthest barangay at the eastern part of Bauang. It is situated about 12 kilometers from the poblacion, 24 kilometers from the provincial capitol and 5 kilometers from the provincial and national highway. Along the adjacent barangay, towards the north is barangay Cabalayangan, in the south is the barangay San Cornelio and San Gregorio, Caba, in the east is barangay Maasin and Magungunay Naguilian while the west is the barangay Casilagan Bauang. Barangay Sta. Monica contains four sitios with more or less 542.85 hectares. Most of the indigenous family of this barangay have low standard of living. 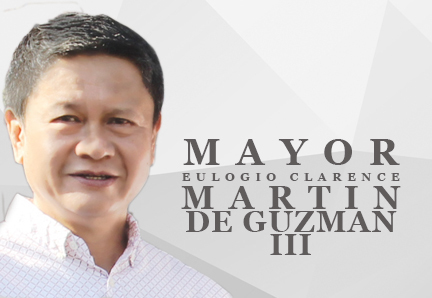 The four sitios are found in the highly mountainous terrain of the municipality of Bauang. Among the first settlers were Cayetano Suňiega, Lorenzo Castillejos, Cipriano Mariňas, Regino Llarenas, Benito Caoile, Guillermo Supsup, Santiago Fontanos and Francisco Mariňas. There were only 13 families during the midst of 1800 which was headed by Cayetano Suňiega whom they considered as their elder, adviser and judge with the help of the other elders. Since 1850, leaders or tenyente del barrio which they called before were listed up to the present namely; Cayetano Suňiega, Elisio Mariňas, Rafael Mariňas , Nicolas Suňiega, Santiago Fontanos, Mariano Suňiega, Federico Mariňas, Modesto Estilong and Liberato Ringor, the incumbent barangay captain. The story on how the barangay got its name is not very accurate. They say in the early 1800, there was a spinster by the name of MONICA SUŇIEGA who was dearly loved by the residents because she spent her life doing good, helping the people in many ways. She wove cloth, attended to the sick and loved children. When she died, the people grieved so much that they named the barangay in memory of APO MONICA. – To promote advancement for the community. Like our Malay forefathers, the early settlers of Urayong first established their small barangay at the seashore. They had made a living by fishing in the fish abundant sea. During those times old men said that sea foods were very plenty. For some decade the sea eroded the first valley lot by the sea so the early settlers were forced to move eastward along the national road track. Since then this has became the present site of the ever innovated and beautiful houses of the Urayong folks. The name of the barrio came about by some versions. One of these versions run this way. The old folks used to address their intimates and friends “YONG” which means “FRIENDS”. Give and take is a way of life in the neighborhood. The people appreciated little things which is given by a relative or neighbor by saying in the dialect “URAY-a YONG” no issu ti adda”. The expression became intrinsic and popular that later on it became the name of the neighborhood an d so on to the barrio. “URAY-a-YONG” meaning, even though my friend, was shortened to Urayong which became permanently the name of the barrio.